How often have you been thinking of updating your living room with a glass table top but never get into doing it? Are you having reservations if it will be safe and stylish with a material that is made of glass? You can have both—safe and style—by using tempered glass table top. The regular glass has also many attractive designs, but you can’t enjoy the safety benefit in it. 1. It is safer. Tempered glass is widely known as the safety glass. An architect, Leo James, expressed in an email, how he loves using tempered glass for table tops, “My wife wanted to update our living room’s look so I suggested replacing our table top with tempered glass. It has been more than a decade, and our table top still looks like we just bought it from the glass store.” An article published in Scientific American says, “Tempered glass is about four times stronger than “ordinary,” or annealed, glass.” If you’re thinking about safety, the tempered glass is a good choice. 2. It can be stylish too. Adding a tempered glass table top in your interior has many perks and one of that is its flexibility in aesthetics. 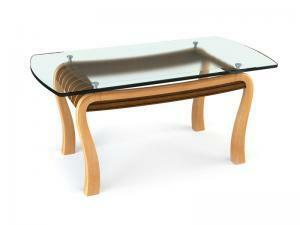 If your existing table has a wood or a vintage base, the glass table top will enhance and enliven its look. Customize your desired design now and make your tempered glass table top safe and stylish.